If you’ve been following my process, you know that my vegetable forms will not be fired, yet instead be filled with soil and seeds. 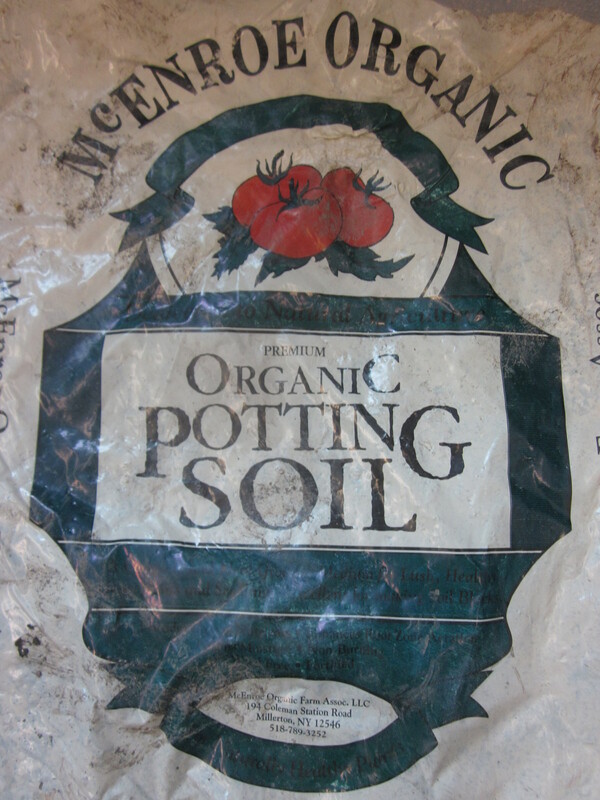 In order to do this, I have been gathering different soils from the area and making a perfect blend. 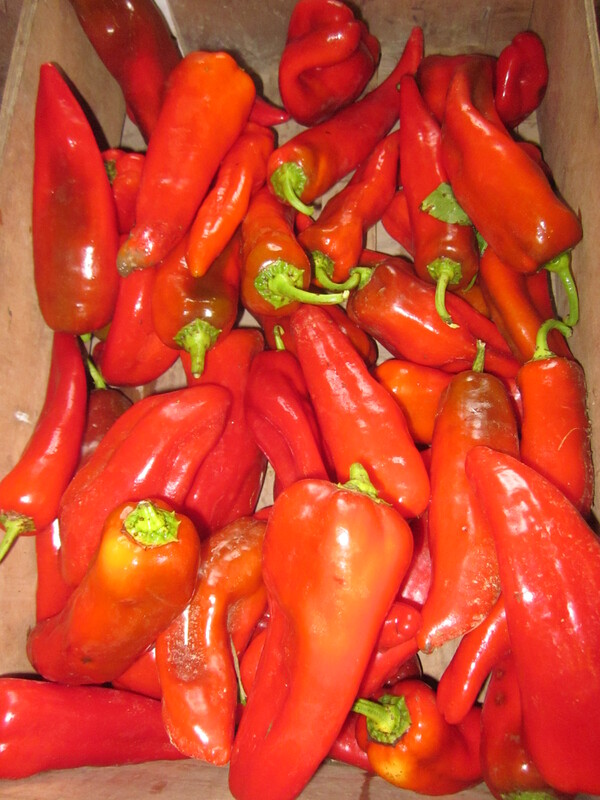 Until my soil is fully dried out, so the introduced seeds will not prematurely germinate before they get sealed up, I have been storing them in several large bins and holding them at a leatherhard stage. My trip to the garden supply store for local potting soil was not much different. 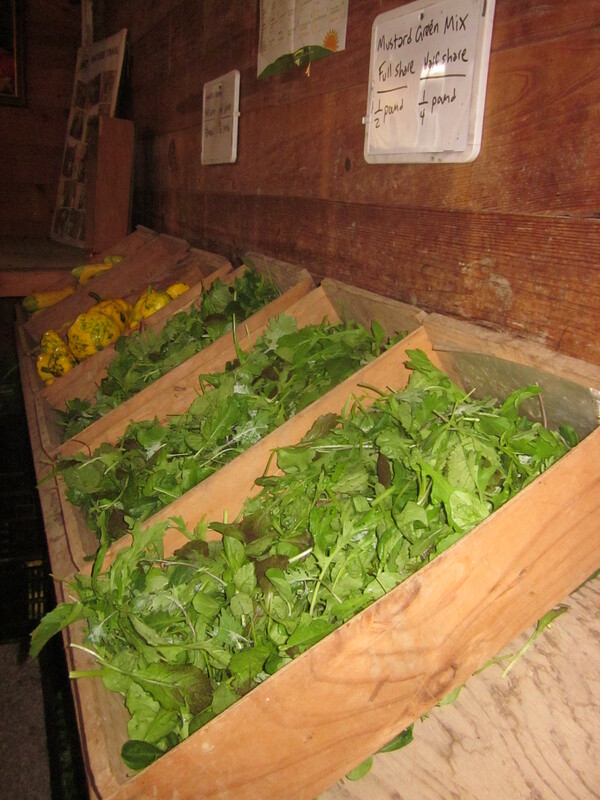 As you might imagine, bags of this stuff are stored outside, and quite frozen under several inches of snow. It took a crowbar and some muscle work to pry them loose from the pile, like loaves of ice. The guy who helped me tried twice to get me to take some mystery toxic stuff instead from another nearby pile that suspiciously had not frozen. 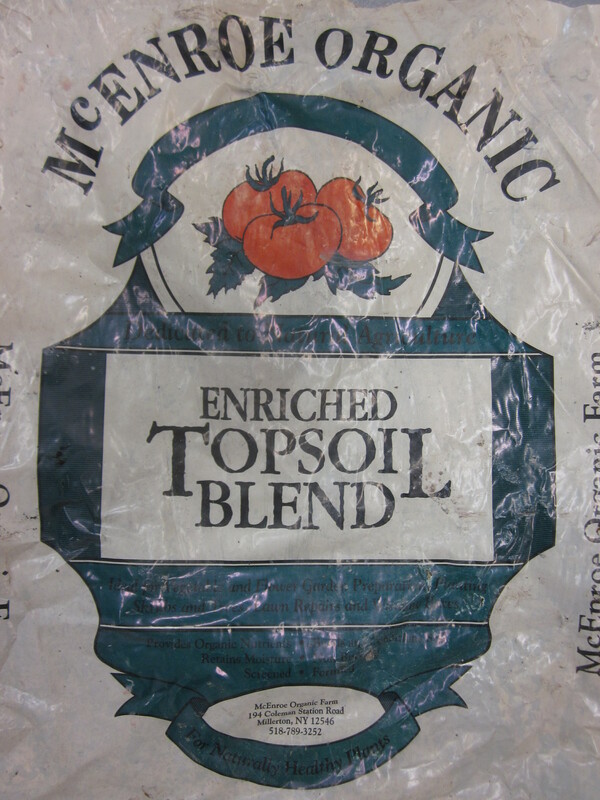 McEnroe Organic soils come from just across the Hudson River and are certified organic. I will take my chances with the thaw, thanks. Meanwhile, back in the studio I have spent a good deal of time drying these different soils out, breaking them up and then mixing them together for a nice blend. 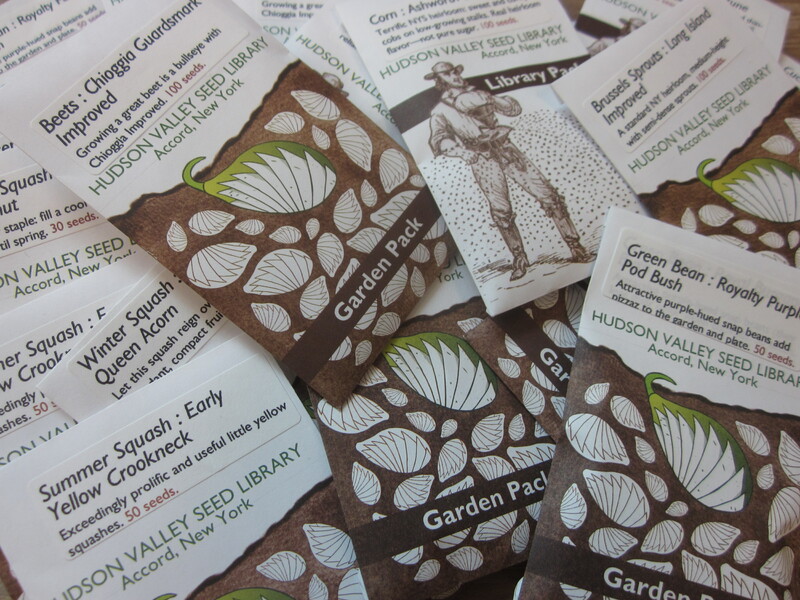 Next, I am preparing to fill my forms with a variety of seeds I acquired from the Hudson Valley Seed Library. 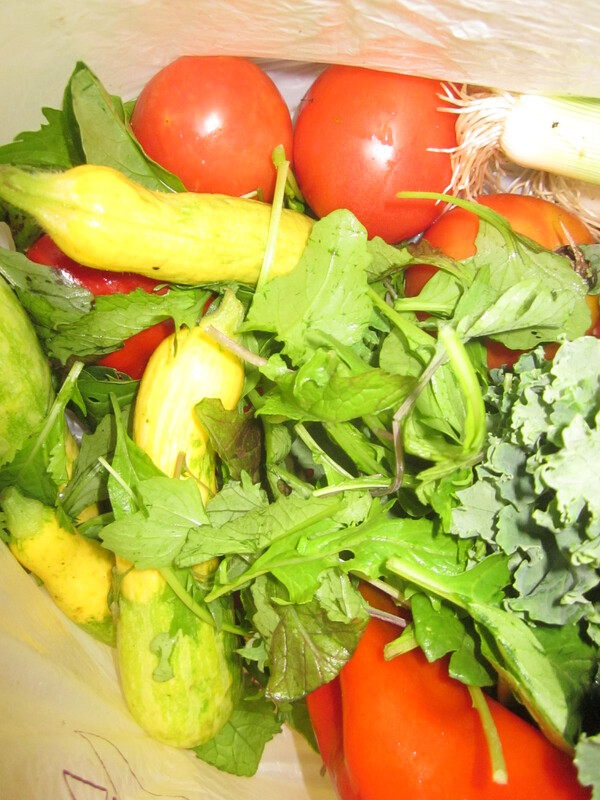 These are some examples of what it looked like when I would go pick up my harvest each week. You would weigh out a set amount based on the size of your share. 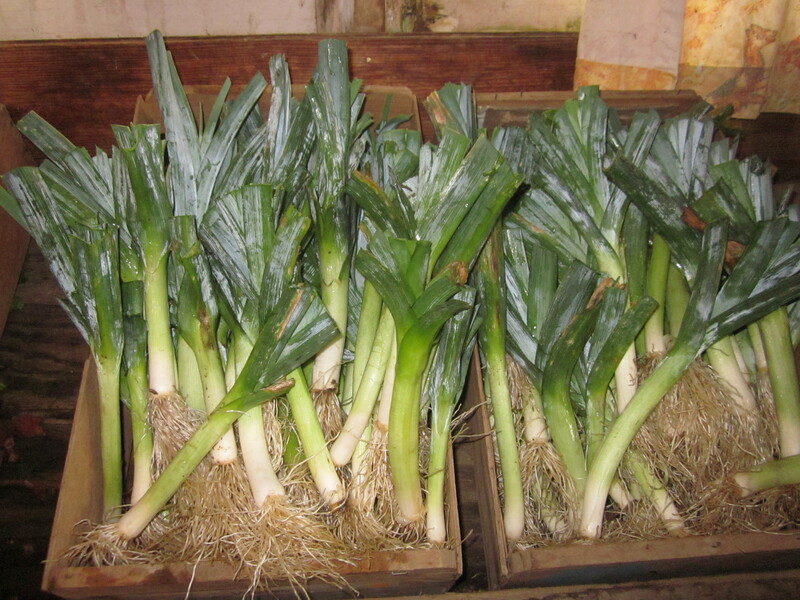 Sometimes you would go home with things like escarole or rutabaga, or something else you might have never heard of. Sometimes you could even pick your own, depending on the crop of the week.. Thanks for reading my ramblings and stay tuned! How did it get to be the last week in February already? In my world this means a number of things: midterm encroaching, thesis writings, meetings with the museum, late nights in the studio, extra coffee, and of course, the official countdown to the much anticipated install day of my thesis exhibition! The date for my exhibition opening, by the way, is Friday, May 17th at the Samuel Dorsky Museum of Art. Whew, I even started a countdown to ‘install day’ on my dry erase board (79 days til install.. and that means 11 1/2 weeks..). Can I get a YIKES?! Oh, and I will be attending NCECA this year in Houston (here’s hoping for sunshine and open toed shoes!) at the end of March.. should be a nice break from the studio with some of my studio mates and friends from afar. 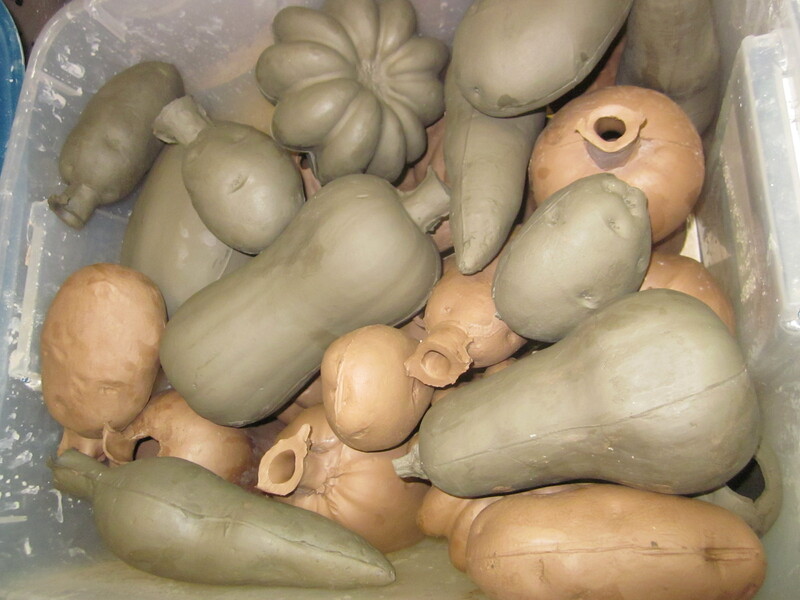 Any opportunity to geek out with a bunch of clay enthusiasts sounds like a good idea to me! which requires breaking it up, slaking it down in a bucket for a few days, then mixing it, sieving it twice (first round gets out unwanted rocks and roots, twigs, etc. the second round I run it through a 60 mesh glaze sieve to get out the coarse sand) and then I add my deflocculant and mix it again. 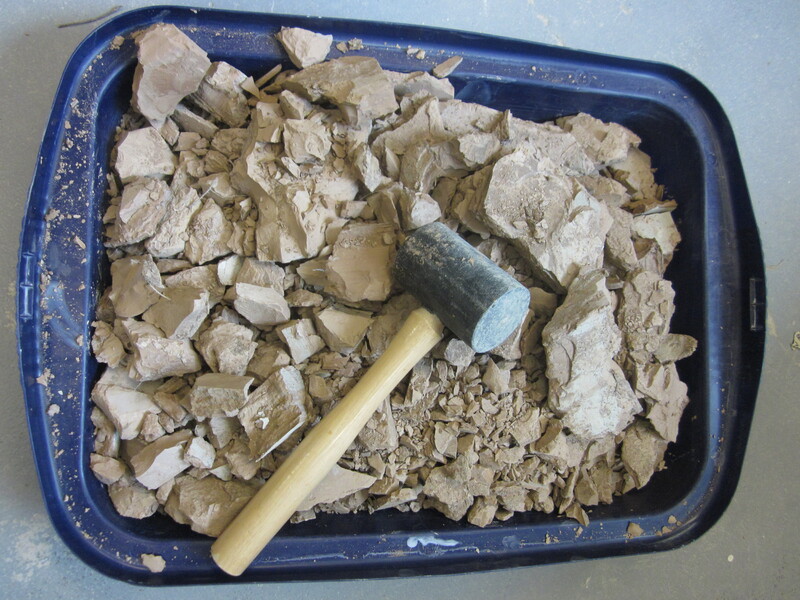 Fortunately, this Walkill clay I have a surplus of at the studio, courtesy of the friendly folks at Historic Huguenot Street who donated their leftovers from a renovation project. 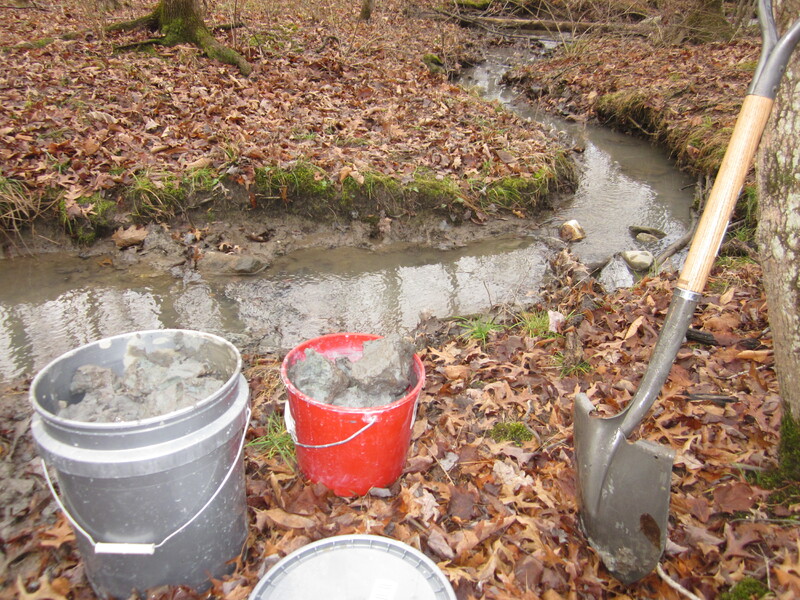 I am down to the last of my Marakill clay/slip at the moment, and that means I will need to go down the road to Gardiner on a clay dig in the coming weeks (frozen ground=tricky digging, especially since I dig it from underneath a running stream!) Does anyone want to come with me? I will educate you in the ways of the happy harvesting and even let you haul buckets out of the woods for an authentic clay digging experience! My goal initially was to have about 300 pieces for my installation, but of course after I determined and measured the space in the museum, now I am thinking I would like to have closer to 700, so I can fill an area approximately 8’x8’x2 1/2′. I actually did some calculations today to figure out how that would work out: assuming I currently have around 70 so far, if I cast 12 a day, 5 days a week, (not including weekends because I work, or my trip to NCECA) until the 10th of May, I will have approximately 700 pieces. of course, this is a rough estimate and I will see how it all works out.. maybe I will need to make some more molds to increase my production that way. 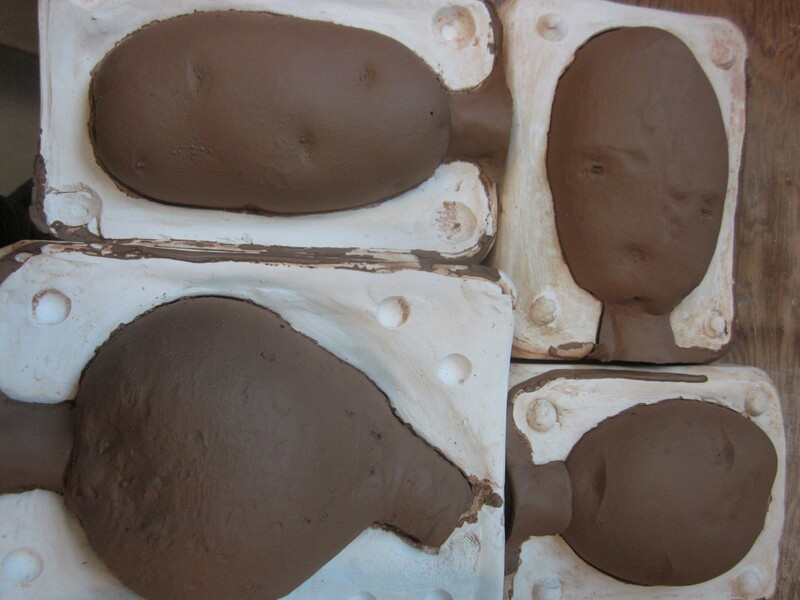 Alternating them to dry out between casting, etc. Are there any good pointers on extreme production from seasoned slip casters out there? 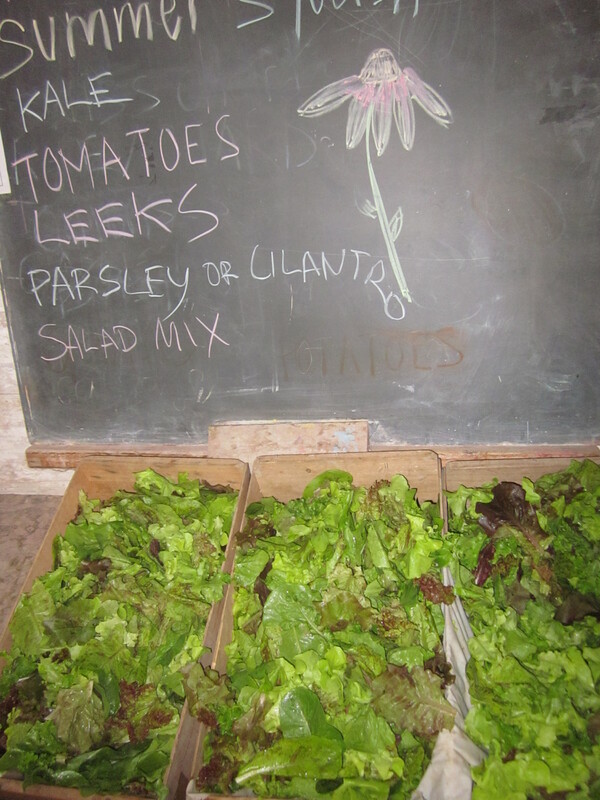 By making intentional connections with the origins of our food and the objects we surround ourselves with, we are participating in a cycle that ties us closer to our community and soil beneath our feet. As consumers, we have the power to contribute to or break society’s pre-determined cycle. 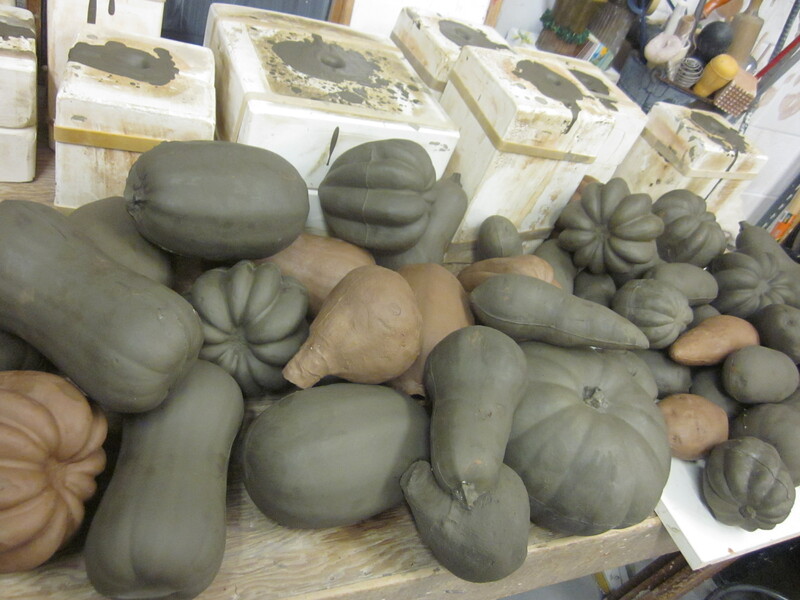 My seed bomb vessels, which are slipcast from locally dug iron-bearing earthenwares, filled with non GMO native seeds and soil, then air dried, combine aspects of farming, mining, consumption and manual labor. I aim for my work to give back to the community that has nourished me, and to generate new life beyond my outstretched hands. The short answer: I’m in my final semester of grad school; my MFA thesis exhibition is creeping up faster than I could ever have imagined. What’s it gonna look like? Well, I have plans at least..
I’ve been working with locally sourced clays from the Hudson Valley for the past two years since I moved to New York. Coming from a high fire and functional pottery background it has taken me awhile to adjust to and embrace the earthenware, to say the least. Dig it, haul it, lug it into the studio, dry it, slake it, mix it, sieve it, firm it back up, wedge it, throw/ handbuild/ cast it, trim it, fire electric/ wood/ pit fire it. test test test. slips, stains, washes, glazes, sigillatas… you name it. I really do enjoy the process and I’m thrilled to be able to use a material that I have harvested myself from the area I live and work. Now might be a good time to mention a project I did last year using my high-fire reclaim and making seed bombs (check out my other blog: www.3sistersseedbombproject.blogspot.com ) Essentially, I made these hollow pod-like forms and filled them with soil and seeds, left them un-fired and gave them away to members of my community with the idea that they would regenerate into something that could feed and nourish them. 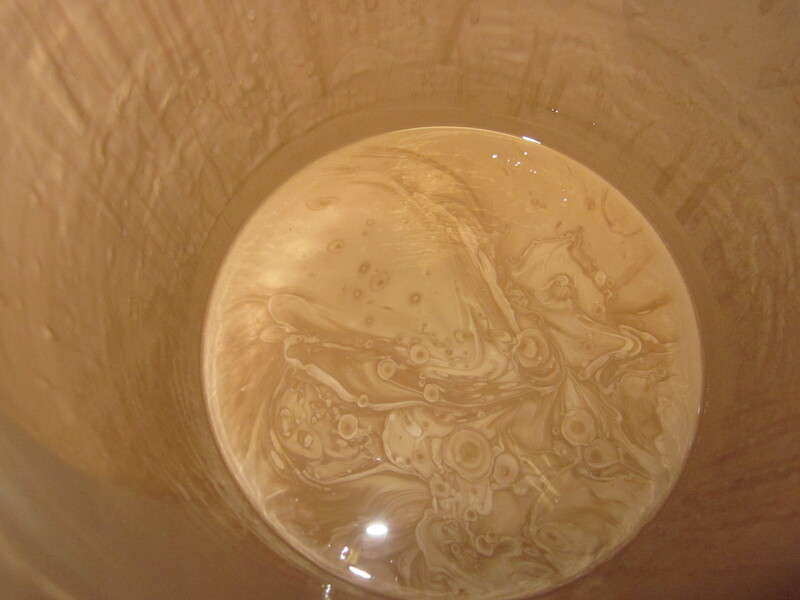 I keep thinking back to this alternative and organic vessel concept, and how it ties in with my interests of sustainability, community and place. To make a short story long, here is my Thesis Proposal. 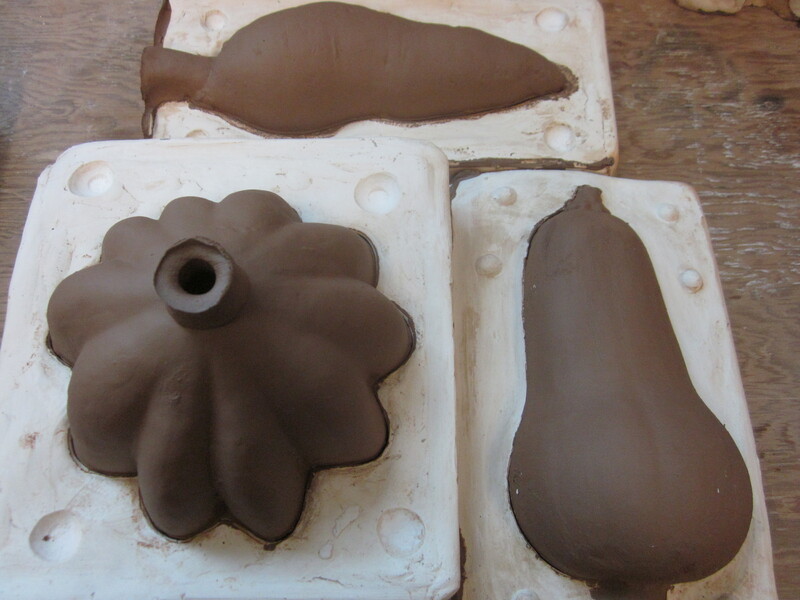 In my thesis work I intend to address the relationship between the source of the materials that we use in the ceramic process and the source of food, as they pertain to the consumer. 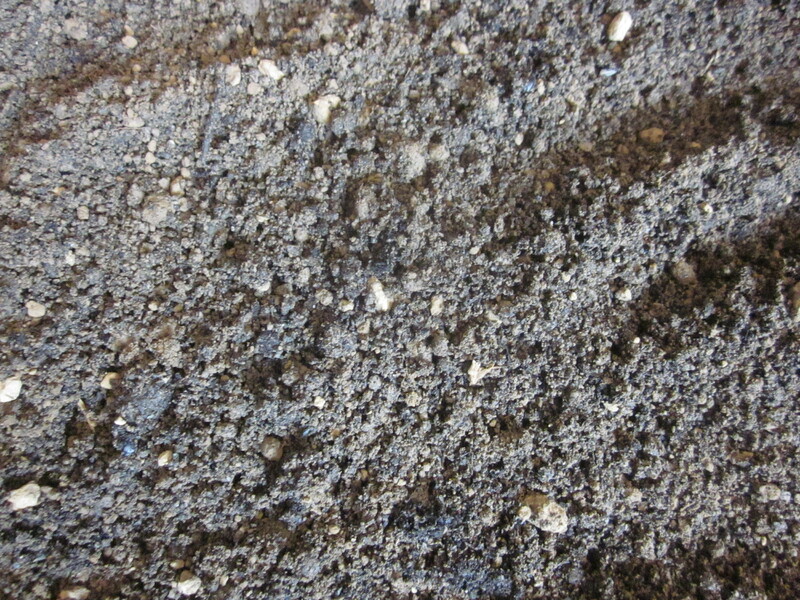 Both food and clay materials have a major disconnect between their points of origin and final destination. Food that has been grown or raised on a factory farm is often doused with pesticides and injected with hormones, harvested, processed, packaged, shipped across the country and eventually sold in stores to people who are oblivious to its origins. Food that comes out of a box is often not really food at all; this passive ignorance is causing bigger problems in this country which lead to obesity, diabetes and heart disease to name a few. Food security is a growing concern as monster corporations like Monsanto push to dominate the world’s seed supply. Clay materials are mined around the world often using heavy fossil fuel guzzling equipment, which leaves gashes in the earth. 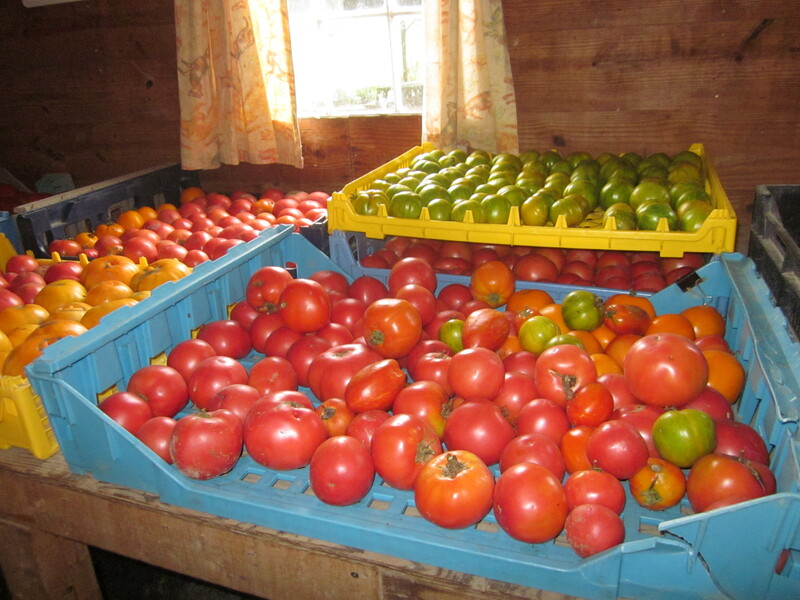 Next, they are packaged, shipped and sold to distributors who further disperse them. 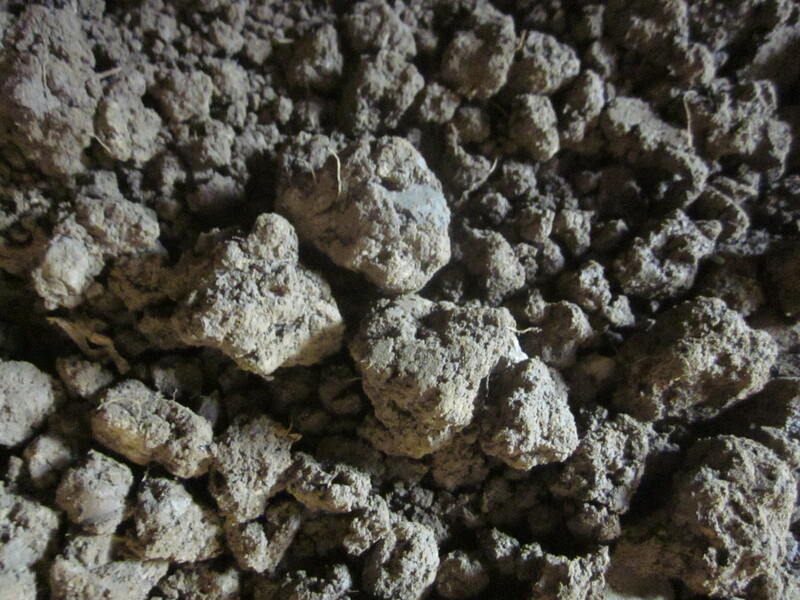 Clay comes from the ground, and I feel that this recognition has been lost along the way. How many people realize the energy required to bring materials that are used to create simple household items like dinnerware to their doorstep? 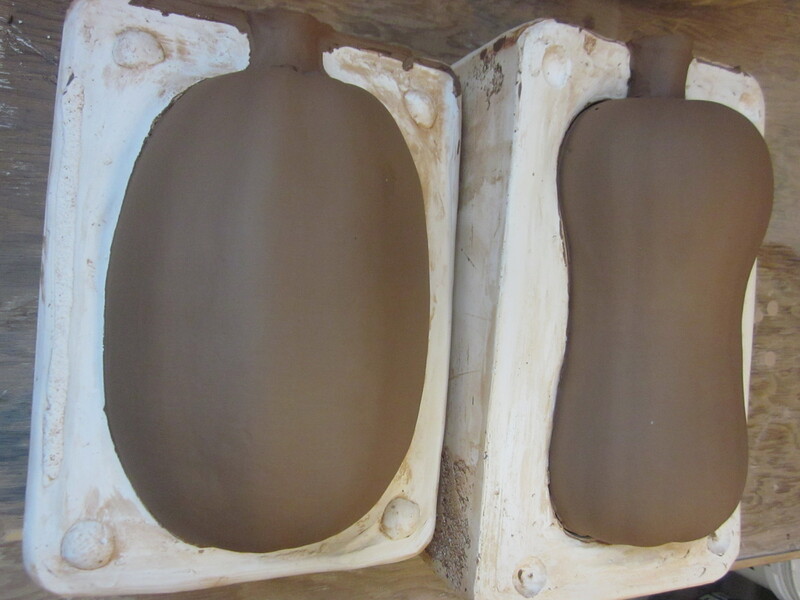 Ceramic waste does not disappear as simply as materials arrive, either. 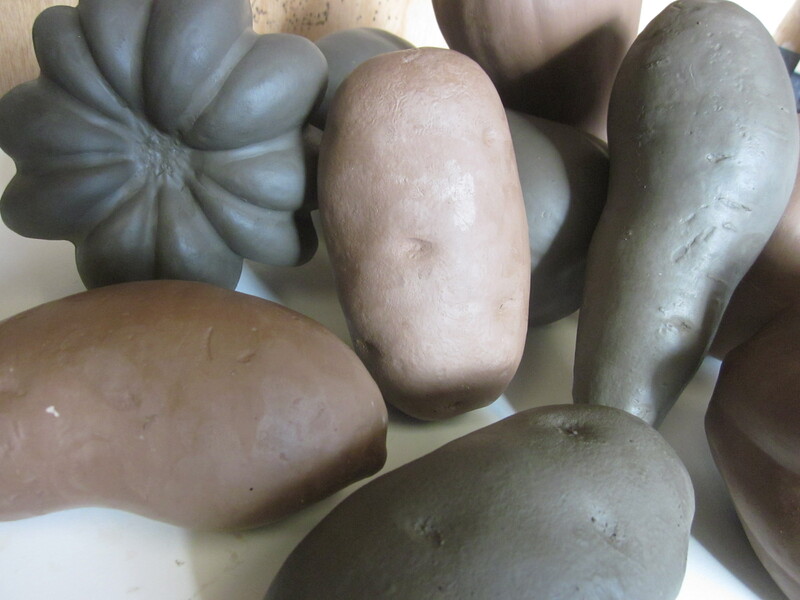 Through a formal exploration of locally harvested clays, teamed up with native plant species, I plan to create vegetable seed bomb vessels that prompt the audience to engage and consider how the food they choose greatly affects their carbon footprint . I aim for my work to be placed in the hands of those who already celebrate local food and sustainable agriculture as well as those who need to be educated about healthier ways of living and eating. 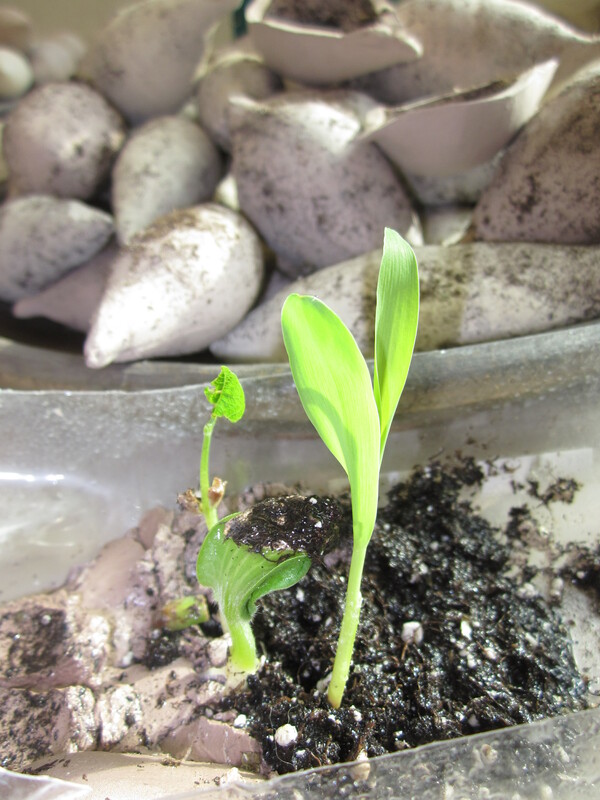 My intention is for them to plant their vessels made with 100% locally harvested clay, seed and soil, nurture the plants and benefit from the intentional connections that ensue. When we recognize the relationship between what we consume, its point of origin and where it will eventually go, we can further learn how to reduce energy consumption and excess waste. 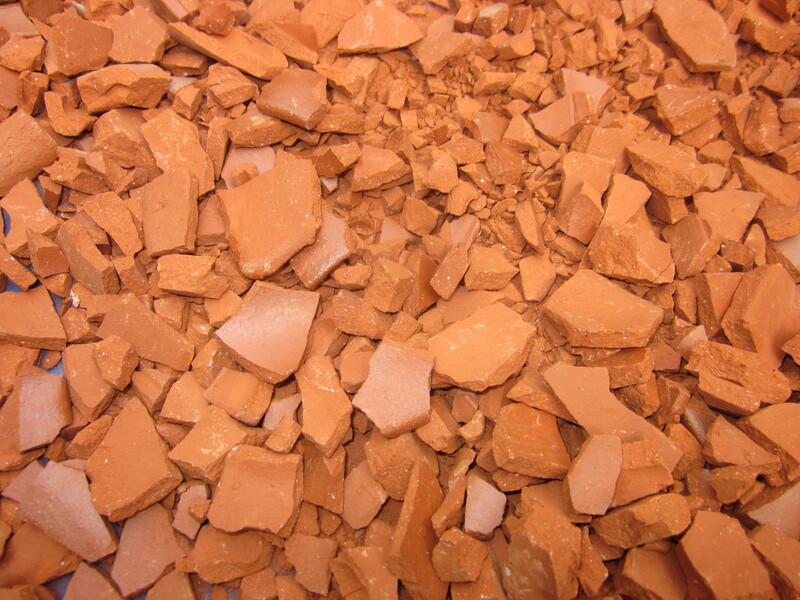 Red earthenware clay is often associated with brick and flower pots, not dinnerware. 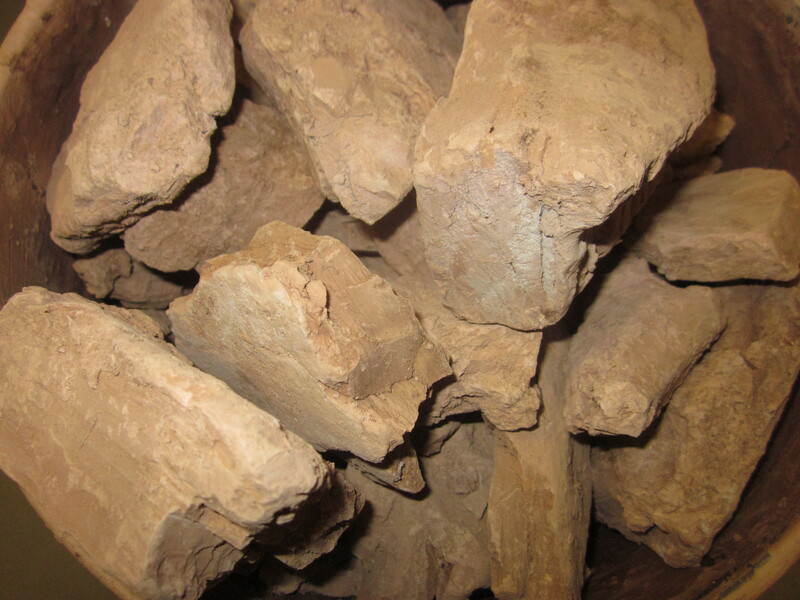 This humble material does not require as high temperatures to fire as stoneware and porcelain clays do, it will break down eventually; even though it may break to small shards and fragments of stone, it will never return to moist clay. 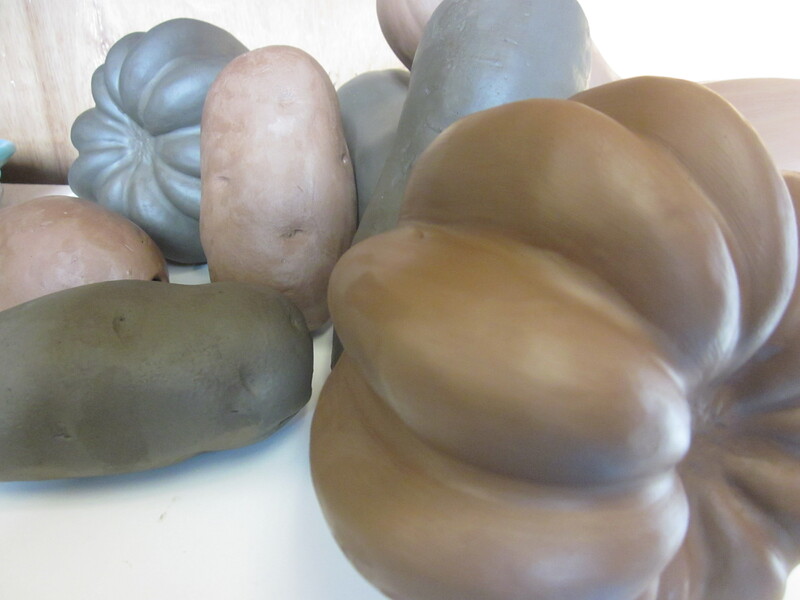 Unfired clays will naturally dissolve back to the earth in a short period of time from weathering rains and winds. 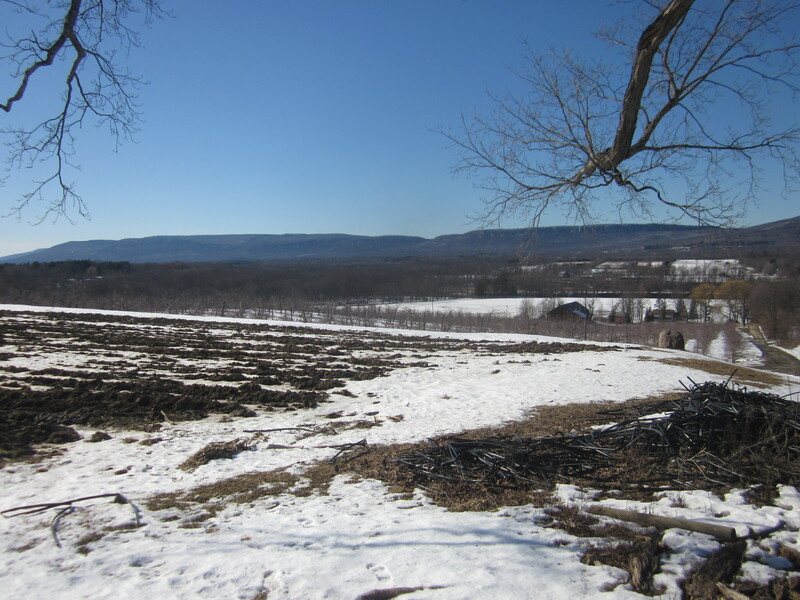 The Hudson Valley is rich in farming soil and clay deposits. 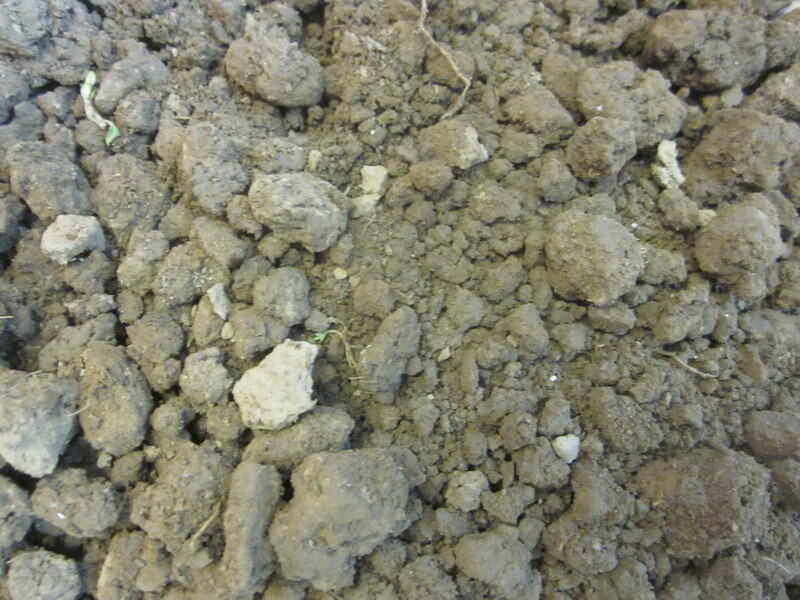 Clay retains water and nutrients which benefit the soil. 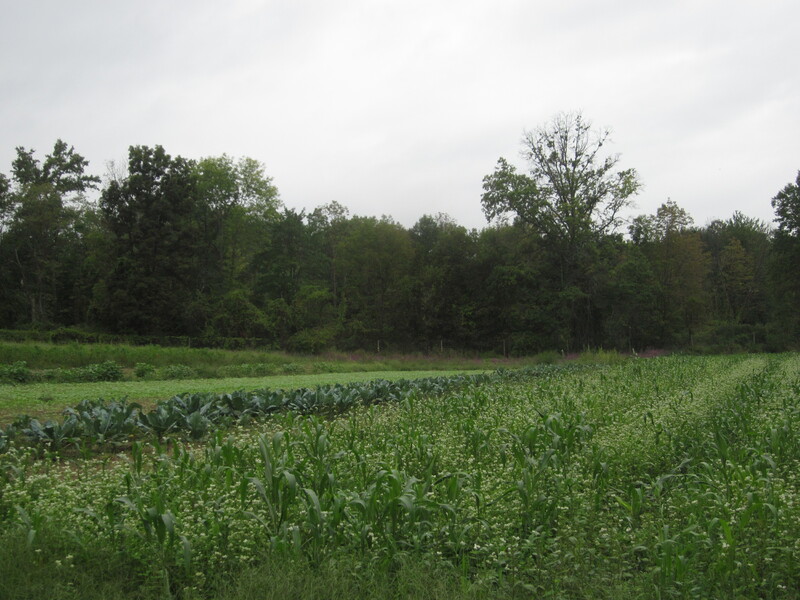 It is problematic that many people do not consider that food is grown and harvested from the ground, brought to us by hard working farm hands and a result of months of cultivation and nurturing. 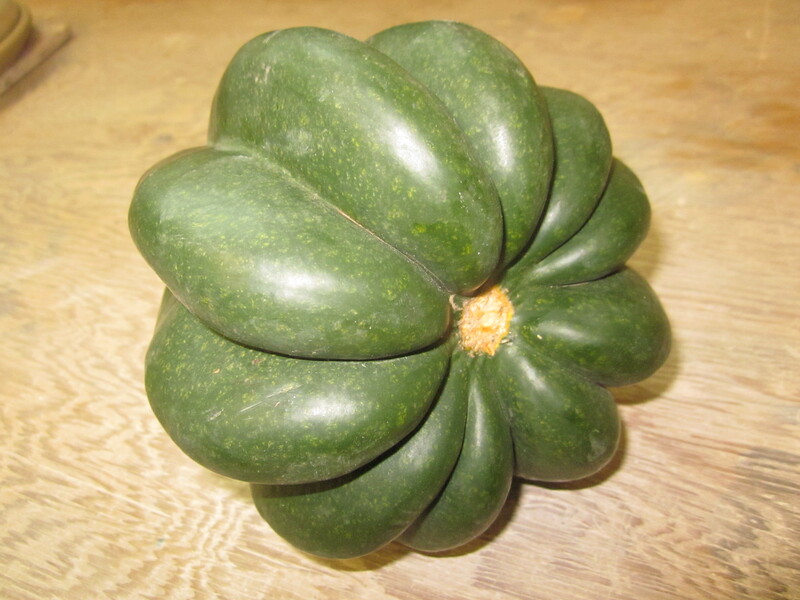 Food that has magically appeared in grocery stores, processed and packaged, has often come so far from its source that consumers have become disconnected with its origins. When choosing products cultivated from locally sourced materials, we have power in knowledge of the source of our food and how our personal choices impact the world around us.